How Upgrading to Salesfundaa CRM can boost Productivity. 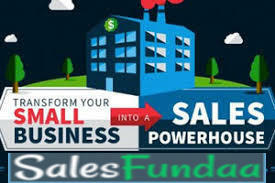 Deploying Salesfundaa CRM software is an ideal software that assists in restoring an amiable ambience at the work place as it is seen beneficial in helping employees work smarter and better together by automating cumbersome manual tasks and utilizing customer data as a factor in deciding what products and services to offer. Being on the cloud it has changed business productivity and enables new ways of work. Its Reliable performance has prepared businesses to bear with significant interruptions while undauntedly replacing existing systems that were overly costly and complex because the rewards far outweighed the risks. It has increased efficiency, ensured business level security and increased mobility all without up-front capital expenses and less dependency on IT infrastructure. Today every enterprise big or small can use its cutting edge business technology as a competitive advantage and conquer the draught of uncertainty. So, What to expect in the Salesfundaa CRM software for business application on the cloud? It allows you to use the power of your data to improve processes, spot trends faster, and outperform your competitors. Salesfundaa CRM software has data-rich, interactive dashboards that allow you to spot out the most promising leads which help track your most active customers and uncover new sales and service opportunities. You can use salesfundaa CRM software to guide your team to stay on track with role-specific workflows and familiar processes built around sales best practices. Unlike stand-alone business applications it has connected solutions that drive business process automation and employee productivity. No matter what devices your team uses or where they need to work, they can stay connected to key business data like customer details, product information, and order status to deliver better customer service. It ensures a steady user experience and with single sign-on you can get to the data you need quickly at one click. You can rid your business of the burden and cost of installing, updating, and maintaining software and managing hardware. Running business applications in the cloud means reduced upfront software costs and no costly on-site servers to manage, plus you can add or remove users as your team changes. You can see growth capabilities by automating business processes and repurpose your team to focus on more strategic projects. With software and applications running in the cloud, employees can better serve customers, manage financial data, and stay connected without having to wait for IT for answers. And Salesfundaa CRM software features are quick to implement and easy to understand. Call Salesfundaa on 9235 35 35 35 for a free demo to experience the digital transformation.